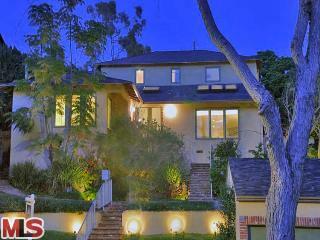 The Westwood Little Holmby home at 1044 Manning Ave., LA CA 90024 lasted 19 days on the market, entering escrow 3/8/10. The home was listed on 2/17/09 for $2,249,000 and had a quick price correction up to $2,295,000 after a few days. The home is completely updated, contemporary style, and looks to be mostly done since the owners 2006 purchase. 1044 Manning Ave closed on 5/5/10 for the asking price of $2,295,000. According to the MLS, the home is a 4 bedroom / 3.5 bath, 3,076 sq ft of living space on a 8,835 sq ft lot.